Drive the success of your Infoblox implementation with the learning path that works for you! Infoblox Education provides learning options that work for your role – Operator, Administrator, or Architect– and your learning style. Interested in an introduction to Infoblox powerful products or quickly getting up to speed on our most popular product features – then get started with our Free Learning. If hands-on training delivered by an Infoblox expert is more your style, then check out our highly rated Paid Courses. Contact the Education Success Team. Learn about the Infoblox Education difference from real Infoblox users! How does Infoblox make you BETTER? How was your Infoblox INSTRUCTOR? How GOOD is the Infoblox TRAINING? 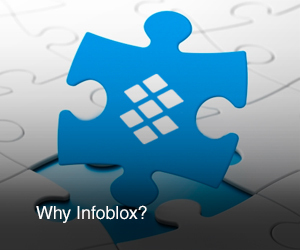 What PROBLEMS does Infoblox SOLVE for you? What was your KEY LEARNING in CLASS? What can you do AFTER Infoblox TRAINING? How GOOD are the training MATERIALS? Build the custom learning solution that best fits your unique capability, learning style, and schedule. Choose from instructor-led and self-paced learning options that include lecture, demo and hands-on exercises. Gain practical experience from real-world scenarios and the confidence to succeed with Infoblox at your organization.